Sathyanarayanan (Sathy) Rajendran, an engineering technologies, safety, and construction professor at Central Washington University, is the nation’s top safety educator, according to the American Society of Safety Engineers (ASSE). Each year, ASSE honors exemplary achievements in occupational safety and health education through the Dr. William E. Tarrants Outstanding Safety Educator Award, which it recently conferred on two professors, including Rajendran. The honor, which recognizes occupational safety and health teaching, scholarship, and professional service, was named for Tarrants, who is considered a pioneer in safety education and is a former ASSE president. Award winners are selected based on their creation of challenging and relevant student coursework, contributions to safety-related research, and promotion of ASSE’s student chapters. He was nominated for this award by a team of active professionals from the industry. Rajendran—who has published or had accepted for publication 19 articles, one book chapters, and a book—has also received two Outstanding Scholarship awards and two Outstanding Service awards from CWU’s Engineering Technologies, Safety, and Construction Department. In her recommendation letter, Katherine Frank, CWU provost and vice-president for academic and student life, referred to Rajendran as a distinguished colleague and student mentor. “Dr. Rajendran regularly spends time outside of the classroom and beyond his office hours mentoring students,” Frank pointed out. “He is also an active supporter of undergraduate research. During his five years as program director, he has worked successfully with departmental colleagues, university partners, and those within his field to improve the program and position it for even greater success in the coming years." CWU’s safety and health management program prepares students to excel as industry-ready safety professionals, through development of leadership skills and knowledge involving business management, chemistry, enforcement, engineering, health, industrial hygiene, mathematics, physics, physiology, psychology, risk management, and statistics. “It is a career that makes a difference in our society,” Rajendran added. ASSE is comprised of more than 36,000 occupational safety, health, and environmental professionals, from 80 countries worldwide. Society members work to create safer environments by preventing workplace fatalities, injuries, and illnesses. 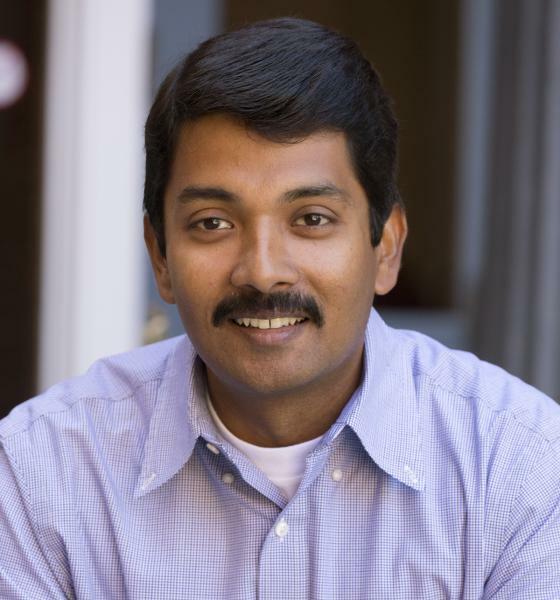 Prior to joining CWU, Rajendran worked for five years in the profession as a safety engineer, safety manager and program manager for Hoffman Construction Company of Portland, Oregon, where he also was frequently sought as a conference presenter. He will officially receive his new award during annual the ASSE Professional Development Conference, June 19 through 22, in Denver.